Use the community to network and set up meetings with other attendees of the Global Off-Grid Solar Forum and Expo. Damilola Ogunbiyi is the Managing Director of the Nigerian Rural Electrification Agency and is responsible for Implementing the Nigerian Off Grid Electrification Programme and the Nigerian Electrification Project which is a $350m World Bank facility to rapidly increase the develop solar mini grids and the deployment of solar home systems within Nigeria. She is also responsible for the Energizing Education Program, an effort by the Federal Government of Nigeria (FGN) to provide uninterrupted electricity to Nigeria students by providing power through off-grid captive power plants to 37 federal universities and seven university teaching hospitals. She is also the Power Sector Recovery Programme (PSRP) Coordinator. This role includes coordinating the activities of the PSRP, which is a series of policy actions, operational, governance and financial interventions to be implemented by Federal Government of Nigeria (FGN) over the next five (5) years (2017-2021) to restore the financial viability of Nigeria’s power sector, improve transparency and service delivery, and RESET the Nigerian Electricity Supply Industry for future growth. She is also responsible for coordinating all the FGN activates to secure $2.5 billion of funding from the World Bank for the PSRP. She previously worked as the Senior Special Assistant (SSA) to the President on Power, and the Head of the Advisory Power Team (APT) in the Office of the Vice-President. Before joining the Federal Government of Nigeria (FGN), Mrs. Ogunbiyi was the first female to be appointed as the General Manager of the Lagos State Electricity Board, which is responsible for public lighting, independent power projects, and energy development in Lagos State. Under her leadership, five independent power projects were completed to deliver over 55 megawatts of power to Lagos State hospitals, schools, streetlights, and the Government secretariat. Mrs. Ogunbiyi entered public service as the Senior Special Assistant to the Lagos State Governor on Public Private Partnerships (PPP). 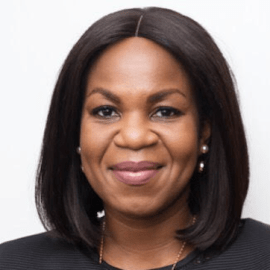 Prior to her appointment, she was a consultant for the United Kingdom Department for International Development (DfID) on public-private partnerships. Mrs. Ogunbiyi maintains a keen interest in mentoring and empowering young people through skills acquisitions. She created the Lagos State Energy Academy to build the capacity of young people in renewable energy technology.